The Israeli sports minister fought back tears as the country's judo team won gold in a tournament in the United Arab Emirates on Sunday, prompting Israel's national anthem to be played in a country that does not formally recognise it. Israel's Sagi Muki, the current European champion, won the men's under-81 kg category in the Abu Dhabi Grand Slam, following compatriot Tal Flicker's gold win at the same event in 2017. But unlike last year, when Israel's competitors appeared under the International Judo Federation (IJF) flag rather their own, this year's event featured Israel's colours and the national anthem, 'Hatikva', was played for Muki's gold win. 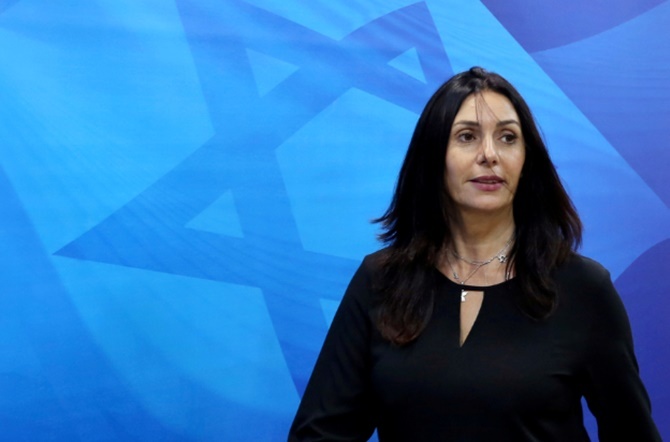 Sports Minister Miri Regev, who stood next to the podium after awarding the medals, visibly wept as she sang along, while Israeli television channels broke into their regular broadcasts to show the medal ceremony live. Regev credited IJF president, Austria's Marius Vizer, for influencing the organisers to change their policy on Israeli symbols. "I cried as the anthem was played, Marius Vizer stood next to me and also shed a tear. It was so moving to see that he was touched by our ability to express our emotions," Regev told Israel's Army Radio in a phone interview. Israeli television broadcasts noted that it came amid a flurry of outreach to Gulf Arab countries. An Israeli gymnastics team is currently attending an event in Qatar. Last week, Israeli Prime Minister Benjamin Netanyahu, made a surprise visit to Oman, the first time an Israeli leader has visited the Sultanate in 22 years. Israel's communications minister is due at a conference in Abu Dhabi next week. Although Israelis have for years appeared at events in the Gulf, organisers have often made their participation conditional on them not displaying national symbols and they typically appeared under the flag of the sports federation running the event.